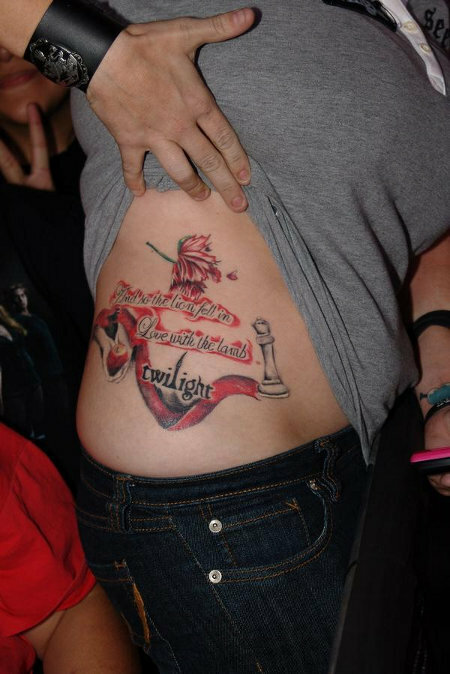 There are Twilight fans that are die hard fans. 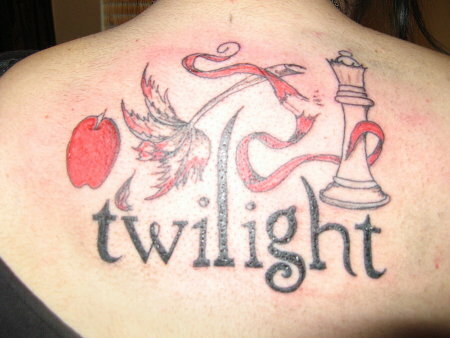 I read the books, loved them and fell in love with Edward, but I still don’t get how some people get so crazily obsessed. I have been able to study them up close (my sister is a twilight crazy fan) and I think they’re quite amusing. Last Halloween I made her a Mrs. Cullen costume and I thought that was extreme. Apparently, there’s definitely crazier fans than she is. Here are some crazy Twilight things I’ve found lately. It also shows the financial power of the Twilight Fan since they’re already experiencing shipping delays because of the response. First, it was teh Sweethearts that were changed. The signature classic phrases were replaced with “Dazzle,” “Bite Me,” “Live 4-Ever,” “I [heart] EC” and “Forks.” They apparently were a success since for the new movie the Twilight cast is getting “New Moon” Chocolate Bars. This is, by far, the most amazing one. Tattoos. You can’t throw away a lip gloss bottle, or hide the chocolate box and pretend it never happened. It’ll be there forever. 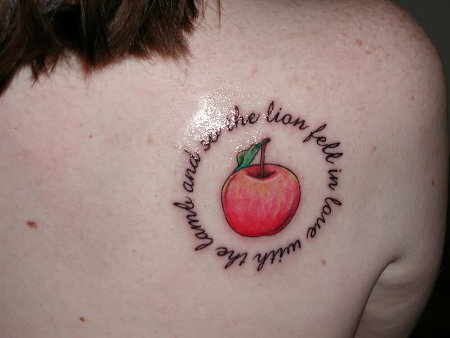 These fans got quotes, logos and images tattooed on their bodies, and most are nothing near small. I wonder what they’ll think about them in 10 to 15 years. The craziest one is definitely the Robert Pattinson one. 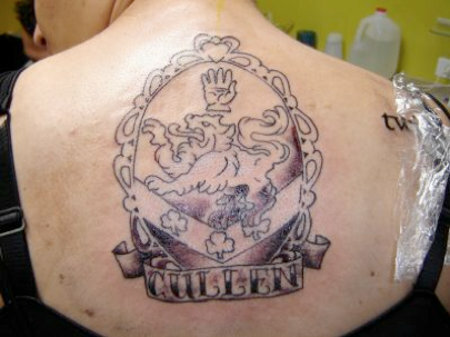 What was she thinking? That he’d see the creepy obsessive tattoo and decide to marry her?